Nearly three and a half months after wrapping up the Asian leg of our journey, we boarded a plane in Amman, Jordan bound for New Delhi, India. Given that we were eventually flying to South America, one might question why we chose to backtrack over 2,000 miles. While searching for plane tickets from the Middle East to Argentina, we discovered that flights were incredibly expensive. 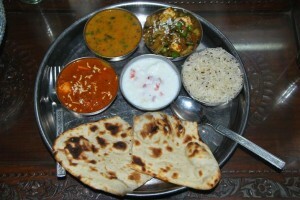 A desire to visit the Indian subcontinent caused us to research additional options. It turns out that the combination of flights from Jordan to India and then onward to Argentina would cost us less than a one way ticket from Jordan to Argentina. Eager to explore this country that enchants so many travelers, we excitedly made our way to the land of rickshaws, sacred cows and spicy cuisine. 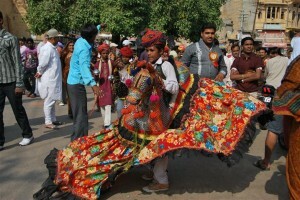 Our Indian itinerary was determined one whole month before stepping foot in New Delhi. 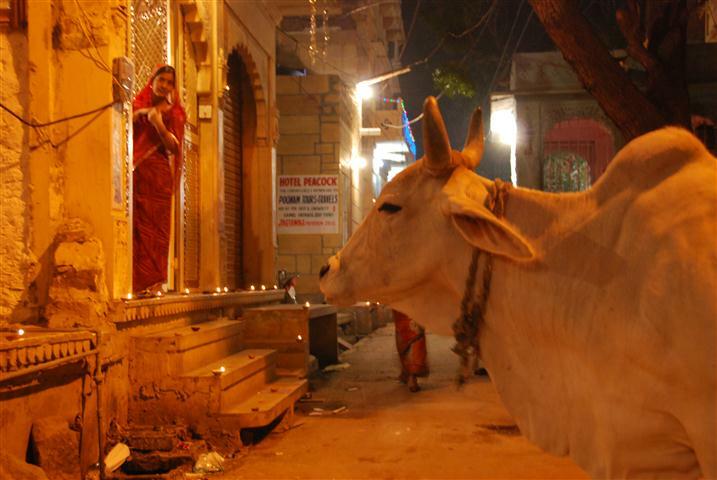 This was a necessity given that we were visiting during Diwali, one of the country’s most important festivals. 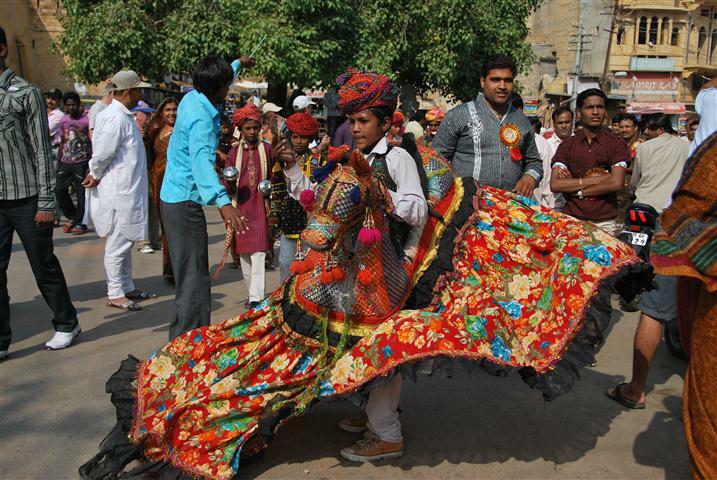 Historically, Indians celebrated Diwali in their hometown surrounded by family and close friends. While still the case for a lot of Indians, we discovered that many now hit the road during this five day holiday. Between Indian tourists and people traveling to and from their hometowns, train seats are in high demand during Diwali and sometimes sell out months in advance. Although we disliked the idea of having to plan ahead and commit to a schedule dictated by plane and train tickets, it ended up being for the best given India’s massive size and our three week timeframe. Our instincts told us that New Delhi was not a place we wanted to spend a lot of time…and they were right. Our two days in India’s capital city were spent recovering from our red eye flight, eating ridiculously delicious food and easing into the chaos that seems to define life in India. 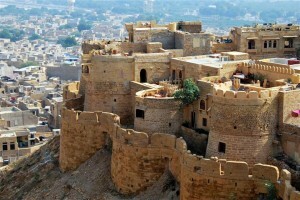 Once acclimated, we headed to Jaisalmer, India’s Golden City set amidst the dunes of the Thar Desert. Unable to find available train seats that would take us all the way from Delhi to Jaisalmer, we flew to Jodhpur and then finished the remainder of the journey in a third class train berth. This was our first experience with train travel in India and we were pleasantly surprised by its quality and efficiency. The berths were simple and the train cars showed their age but there was plenty of space and we departed and arrived exactly as scheduled. Our berth and those surrounding it were filled with Indian families. One couple and their adult son had traveled all the way from Kolkata, nearly 60 hours by train from Jaisalmer. The berth next door was filled with a large family that passed the time easily with games, song and laughter. The atmosphere on the train was festive and the excitement was contagious. By the time we arrived in Jaisalmer, Jason and I were itching to do some exploring. 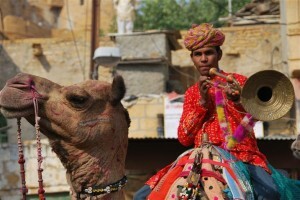 Many visitors spend their time in Jaisalmer atop a camel slogging its way through the sand. 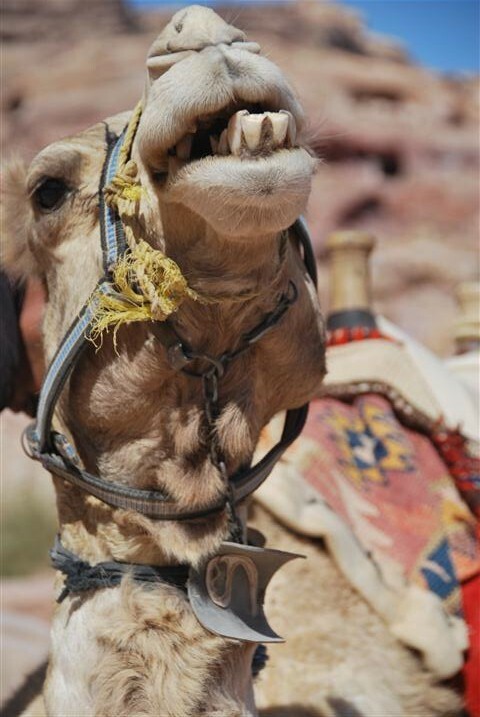 Given that our last camel ride in Mongolia was about as enjoyable as ­­­a Filipino bus journey, we opted to forego the heavily advertised camel tours. 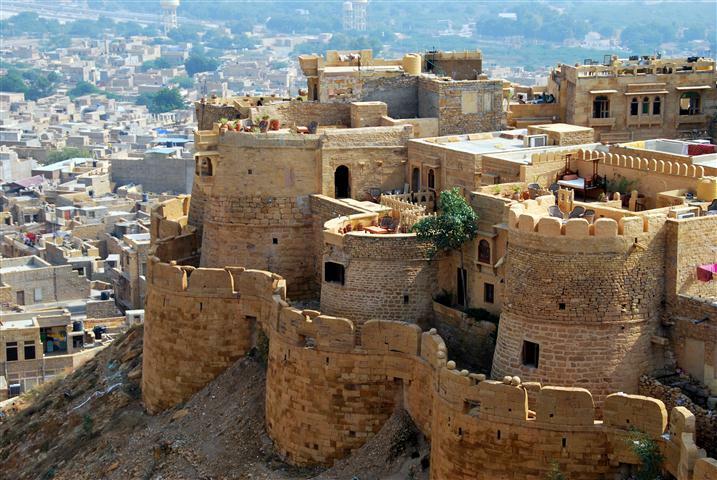 Instead we spent our four days in Jaisalmer wandering the narrow streets of the old town, exploring ornately decorated ancient mansions known as havelis, visiting the city’s massive fort and soaking up the atmosphere of Diwali. 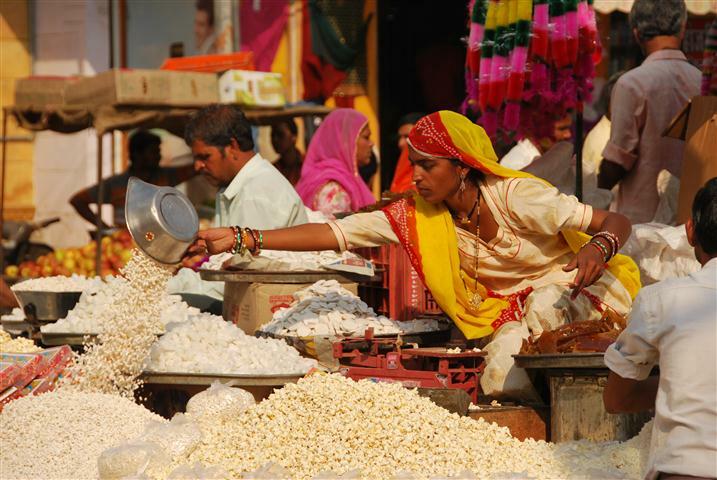 I have no doubt that Jaisalmer is always a colorful, magical place but being fortunate enough to visit during Diwali enabled us to see the city at its finest. Known as the Festival of Lights, many Indians celebrate with family gatherings, glittering clay lamps, fireworks, strings of electric lights, bonfires, flowers and sweets. Houses throughout the city were lit up like Christmas trees, the streets were filled with vendors selling strings of flowers, and candles lined the ledges and stairs in front of people’s homes. 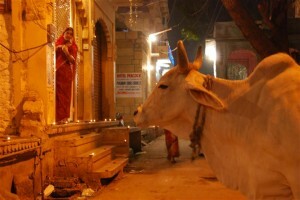 We were initially frustrated when we found out we were visiting India during Diwali. Sitting in our hotel room in Egypt, four weeks before arriving in India, we started doing research and were shocked to find that most train tickets were no longer available. Mapping out our itinerary for India was time-consuming and we questioned whether or not we had made the right decision. One month later, standing in the shadow of Jaisalmer’s golden colored fort surrounded by music, laughter, candles and lights, that stressful night back in Egypt was a distant memory. As travelers we always dream of being able to experience something real or authentic while visiting a country and so far India was making it very easy for us to do just that. Looking at a map of the Middle East, one can see that Egypt and Jordan are virtually neighbors. The only thing separating these two countries is Israel, just a few miles wide at its narrowest point. Given the relatively short distance between the countries, one might assume that traveling from one to the other is straightforward or possibly even fast. However, after months on the road we knew better than to assume that anything is easy. There are a few different options for crossing the border and all of them have drawbacks. Initially, we hoped to take a ferry from Egypt to Jordan, thus bypassing Israel completely. This was appealing to us because we wanted to avoid getting the Israeli passport stamp that automatically disqualifies you from getting into other Middle Eastern countries. However, we learned that the ferry company only sells round trip tickets and that the ferry is sometimes delayed for days. No, that is not a typo….DAYS. We vetoed that option since we had already booked our flight out of Jordan and couldn’t risk missing it. We briefly considered another option that involved a 2:30am bus departure, a whirlwind tour of Israel’s most famous sights and then another night spent on a bus before getting dropped off at the border. For obvious reasons this option was also scratched. In the end, we were left with a more reliable, albeit more expensive option: driving from Egypt, through Israel and into Jordan using a series of mini-buses, taxis and buses. Ready to tackle three countries in one day, we woke early and hopped on a mini-bus bound for the border. Crossing from Egypt into Israel was like stepping foot on another planet. Israeli immigration was filled with female guards wearing western style clothing and speaking perfect English. Israeli immigration is known for being very thorough and our experience was no different. Fortunately, they were also efficient and polite and next thing we knew, we were sitting in the back of a well-maintained taxi bound for Jordan. Along the way, we passed through Eilat, a resort town filled with western looking hotels, restaurants and strip malls. Normally we go out of our way to avoid places like this but it felt more like the United States than almost any place we’d been in the last seven months and we couldn’t help but feel some pangs of homesickness. Exiting Israel was just as straightforward and efficient as entering and couldn’t have contrasted more sharply with our entry into Jordan. As the grumpy Jordanian immigration official took his time going through the motions of allowing us into the country, we stared longingly back at Israel. Finding a taxi driver willing to charge us a fair price for the trip to the bus station was another exercise in patience. We were finally saved when a French girl living in Jordan offered to let us ride with her to the bus station. Things started to look up significantly when we found a bus bound for Wadi Musa and got some much-needed food in our bellies. 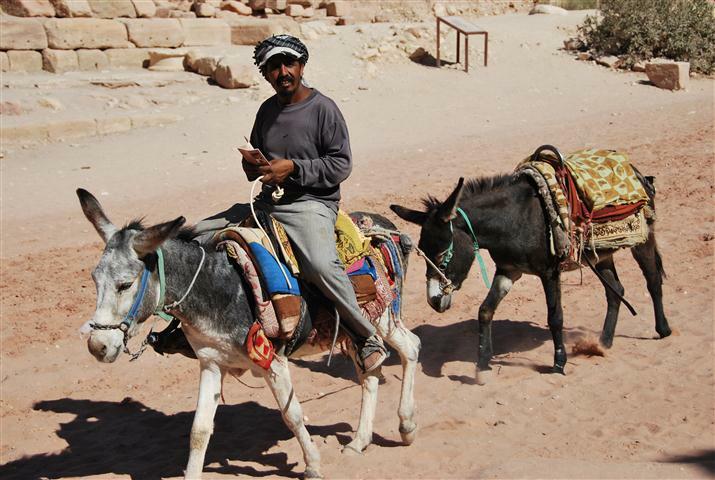 We found Egypt to be quite affordable and were a bit shocked by the cost of food and accommodation in Jordan. It didn’t help that we had no bargaining power since almost all of the city’s hotel rooms were booked. The room we settled for left much to be desired but we felt fortunate that we didn’t end up sleeping in the dorm room on the roof. From what we saw, these “rooms” consisted of mattresses lined up on the floor with a curtain separating the space from a common area. 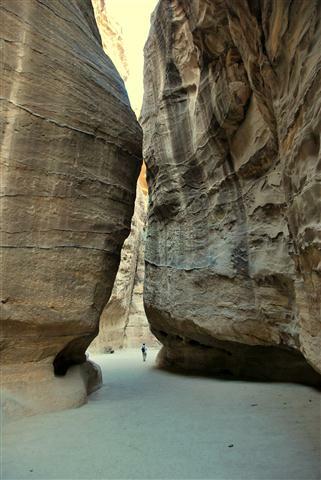 We had come to Jordan to visit Petra, a vast ancient city built more than 2,000 years ago. As the loudspeakers just outside our room’s windows blasted the early morning call to prayer, we readied ourselves for a long day of sightseeing. Hoping to beat the heat and tour groups, we arrived at Petra just as the gates were opening. Entrance to the city is through the Siq, a narrow gorge about half a mile in length and surrounded on either side by soaring rose colored cliffs. As we walked though the gorge, we waited with anticipation for it to open up and reveal the Treasury, a massive facade carved out of the sheer rock face. 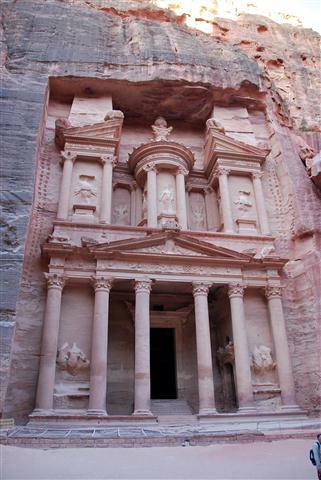 Built in the 1st century to hold the tomb of an important Nabataean King, many people recognize it as the temple featured in the last scenes of Indiana Jones and the Last Crusade. Our early morning arrival paid off as we had just enough time to admire the work of art with relatively few people around. As the crowds and tour groups began to descend, we quickly gathered our belongings and set off to do some more exploring. Having heard so many good things about Petra, I was expecting to be blown away. However, as we wandered through the ancient city that day, I never got that warm, fuzzy feeling that I’ve experienced at other world renowned sights like Ayers Rock or the Great Wall of China. It’s possible we were just burnt out after recently seeing so many ancient sights in Egypt. Either that or Jason and I don’t get nearly as excited about world famous archaeological sites as some people. Regardless of the reason, we forfeited the second day of our Petra pass and hopped on a bus bound for Amman, Jordan’s capital city. While Amman probably has a lot to offer tourists, we made very little effort to see the city’s sights. We felt lazy and wanted to save our energy for our next leg in India as we assumed it might take a lot out of us. Of course we didn’t spend our three days in Amman sitting in our hotel room. We actually had a lot of fun wandering the city’s crowded streets, eating good food and people watching. 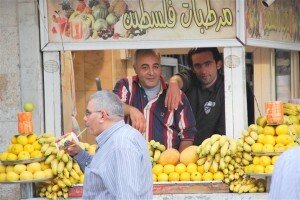 Many of the Jordanians we met were extremely friendly, eager to chat and curious about us. While nearly all of our conversations were with Jordanian men, I found myself more fascinated by the women. One night while eating dinner at a lively restaurant, a group of young women were sitting at a nearby table. All were dressed very modestly with headscarves but poking out from underneath their long skirts and jackets were killer heels in a wide variety of colors. As they sat around smoking sheesha from pipes and giggling, I couldn’t help but stare. Throughout our travels in Turkey, Egypt and Jordan, I’d had very little interaction with the local women and I found myself wishing that I knew more about their lifestyles and beliefs. Looking back on our time in Jordan, I don’t know if we actually did or saw enough to justify the time and expense of getting there. 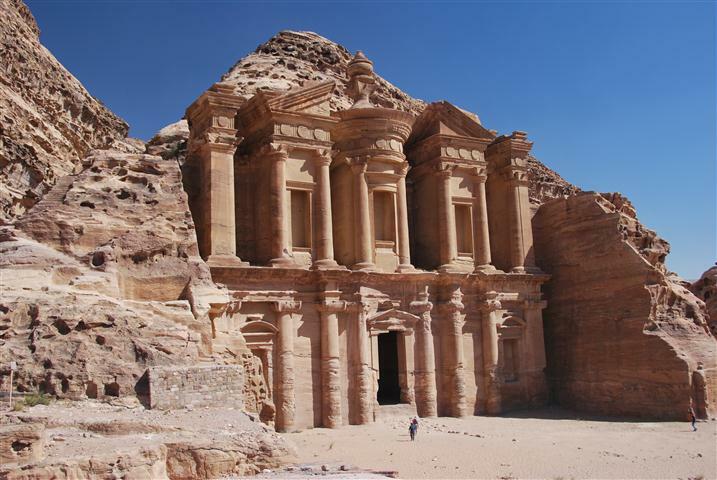 We both found Petra to be impressive but not spectacular, especially in light of all the incredible archeological sites in Egypt. 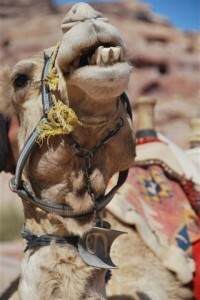 One thing we particularly enjoyed about our time in Jordan was seeing the many ways in which it differed from Egypt. 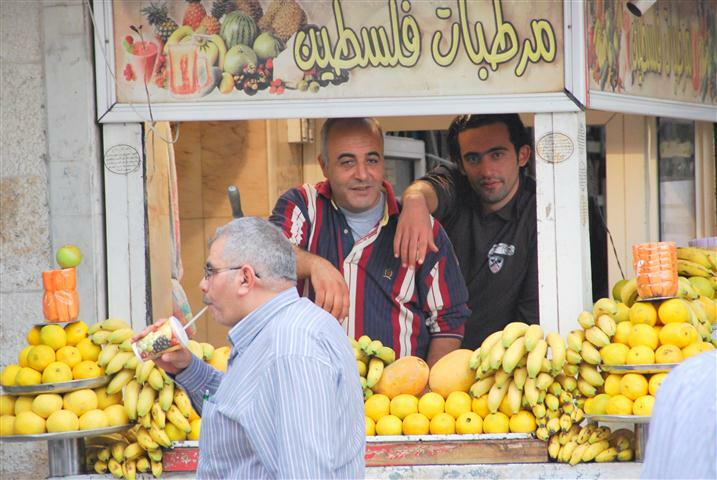 As a whole, the Jordanian people appeared to be much better off than many Egyptians we met and traveling in Jordan was relatively hassle free. The owner of our hotel in Wadi Musa told us that many Egyptians go to Jordan in search of better paying jobs. While the money they earn in Jordan can go a long way in Egypt, they often go for months or years without seeing their families. 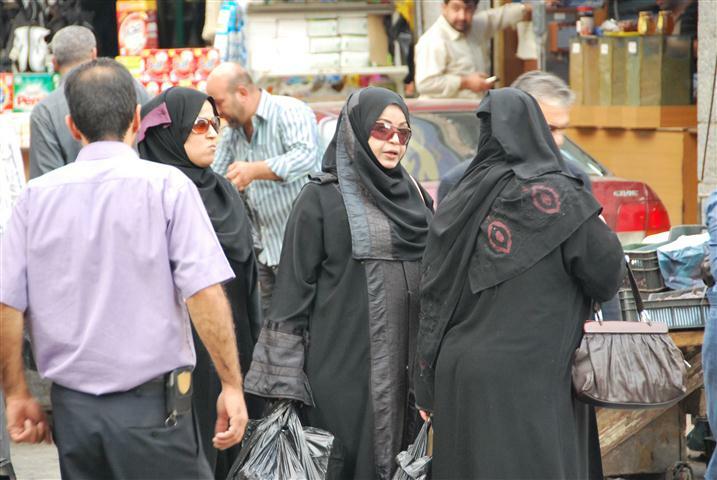 Apparently Jordan has started to grant fewer work visas to Egyptians and the competition has gotten tougher. I suppose that is why the Egyptian workers are willing to put up with long hours and very basic living conditions; the young Egyptian man at our hotel worked seven days a week and slept outside on a bare mattress. The Middle East is an area of the world that neither of us knew much about, and although we experienced only a sample during our round the world trip, we were glad to have seen what we did.